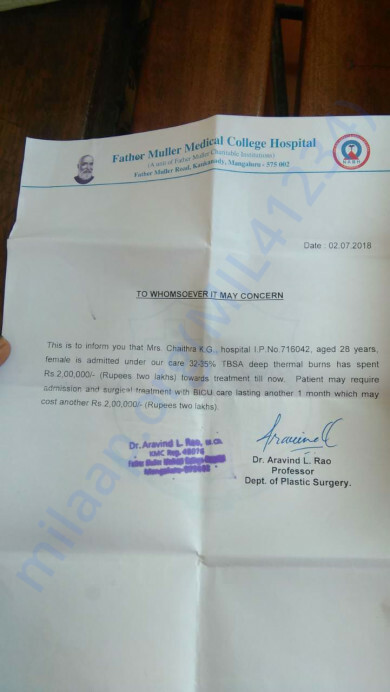 My elder sister Chaithra Kudupaje Gopala (28yrs),resident of Bhagamandala(Kodagu district) is undergoing surgery and treatment as a patient, who suffered thermal burns of 32-35% TSBA,at Father Muller Medical College Hospital at Mangalore. All was fine until her little one was born.Chaithra had come for delivery of the baby boy.Few months post delivery,on the fateful day of the incident,she had gone for bath where she developed seizures(she had this ailment much earlier).She held the hot boiling pot for support when seizures developed.The hot boiling water fell on her as she fell unconscious to the ground.She lay there until mother found her in this state.Her body from the chest to toe was burnt . 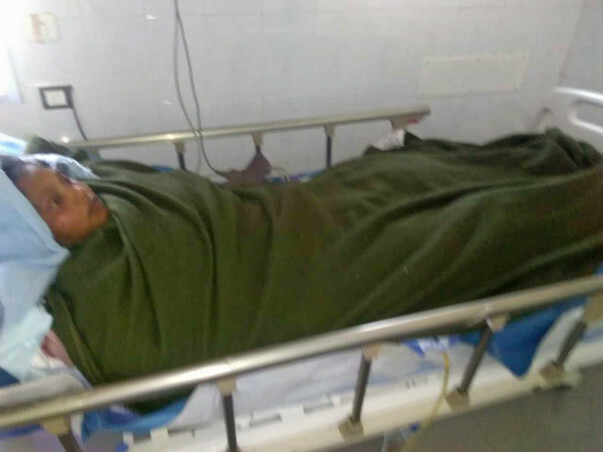 Immediately she was taken to Mysore hospital for treatment where we had to pay huge bills but treatment was not successful.She was sent home to Bhagamandala where she was admitted to a government hospital and the condition again worsened.In between she even had developed infection in the wound and also suffered mental trauma for a period of time. Adding to the plight treatment cost is even more here.It is estimated to reach 6 to 6.5 lakhs or even more till the end of the treatment. My sisters husband is unable to help her as he is unemployed.My mother has taken care of us after father passed away.We are from economically poor background.Daily wages did not come to our rescue to pay the huge bills. 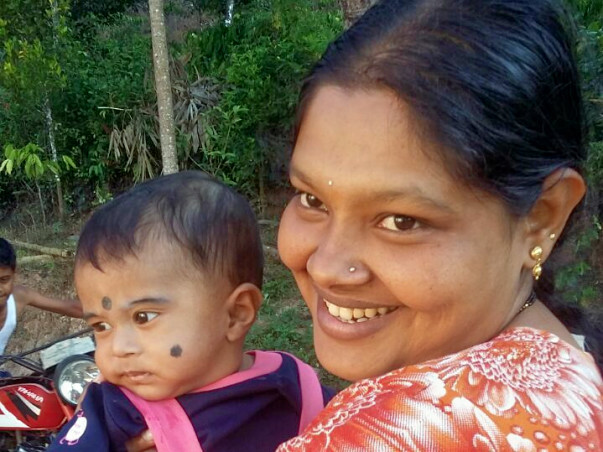 My sisters life is very precious to me.As a brother i need to save her at least seeing the innocent face of her infant boy who is craving for his mothers cuddle and love from birth.Even Chaithra is struggling hard to recover.Being poor and no money feels like a curse at this situation. We need 6 to 6.5 lakhs for the treatments and plastic surgery.So far Rs.2,00,000 has been spent with support of few peoples generous donations,still we need another 5 lakhs for the treatment and surgery. Its difficult to keep the patient in this serious condition in the BICU, because medical bill is due to be paid. With heavy heart and helplessness towards paying medical bills as i do not have any savings left.I plead you my well wishers,friends and all to please donate few rupees to save my sister and to support her little son who is now just 8 month old. Chaithra was discharged from the hospital recently and she is recovering well at home. She needs dressing for the wounds which is done on a regular basis. She is able to make movements and walk with support. It will still take time for her to completely recover, we're really thankful to each one of you for the love and support which you have shown towards Chaithra. We shall keep you all posted. Thank you for the support shown so far. 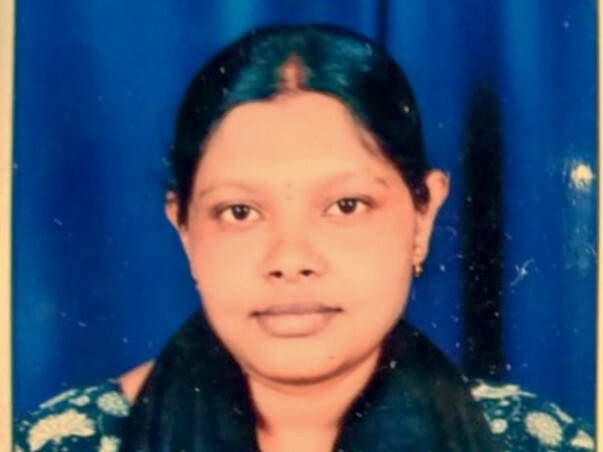 Chaithra's treatment is still ongoing. We are withdrawing some funds to pay the hospital for the treatment so far. At the moment unable to provide bills.. we will upload bills immediately once the treatment is under process.This amount will be utilised for the process of removing the bandage from the wound,dressing,, medication and further procedures including room and bed charges.It is estimated that each dressing of the wound including medication would require Rs.13-14 thousand rupees. Heartfelt gratitude from our family for the generous support pouring in, through your donations and wishes. Until now,only through the donations,we could afford for the treatment so far....The treatment has resumed back from monday..